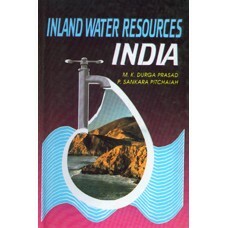 In India, the vast Inland water Resources are ill managed and improperly utilised. As such, the sustainable clean waters and their resources are becoming rare commodities! It is a fact that the optimal and sustainable utilisation of these waters and their resources require scientific and technical input from various disciplines. Hence, an attempt is made to gear up the valuable scientific information collected by the scientific personnel from all over India belonging to various disciplines such as Agriculture, Aquaculture, Botany, Chemistry, Civil Engineering. Fisheries, Geography, Geology, Horticulture, Physics, Remote Sensing, Toxicology and Limnology. We hope the cluster of knowledge presented in these volumes will be useful to the reader.